Why 3-Gun at Aurora Sportsmen's Club? 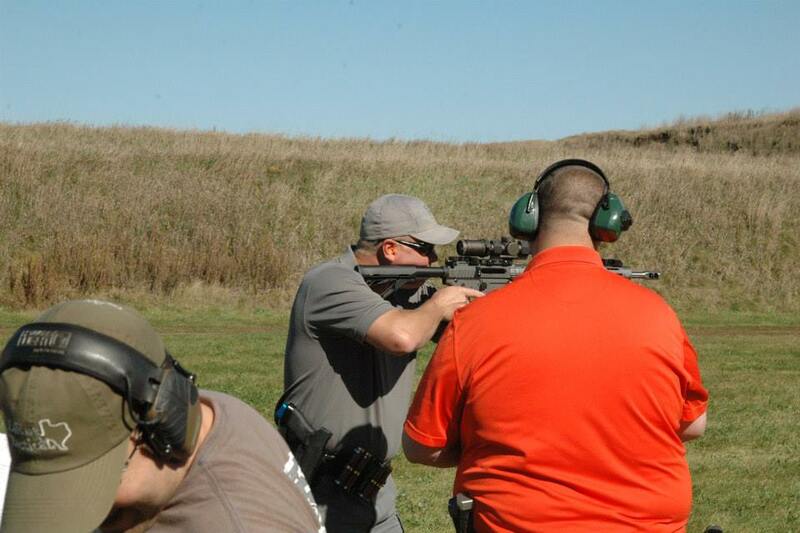 Whether you are a veteran 3-Gun shooter or just coming out for your first match, the 3Gun Series at Aurora Sportsmen's Club is the place to get your shoot on! Targets out to 400 yards. 3-Gun is one of the action shooting sports where competitors use three different firearms -- a modern sporting rifle (MSR), a pistol, and a shotgun. 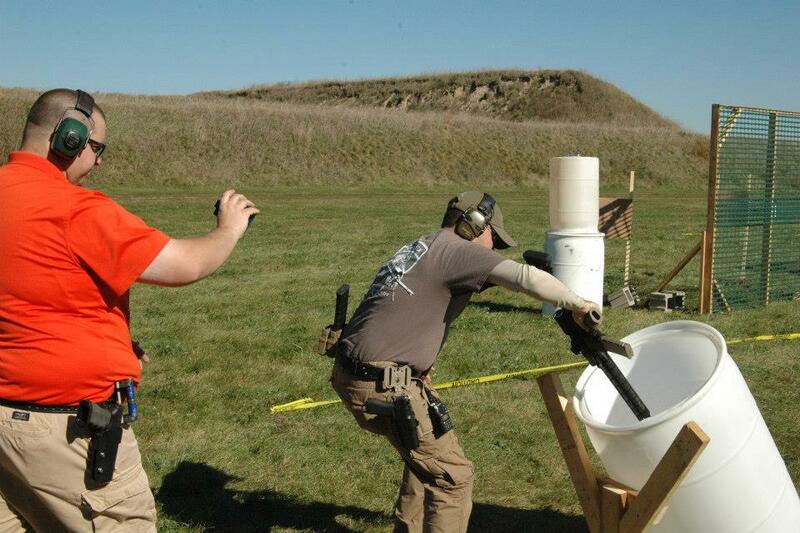 Matches generally involve courses where the shooter must move through different stages and engage targets in a variety of different positions. 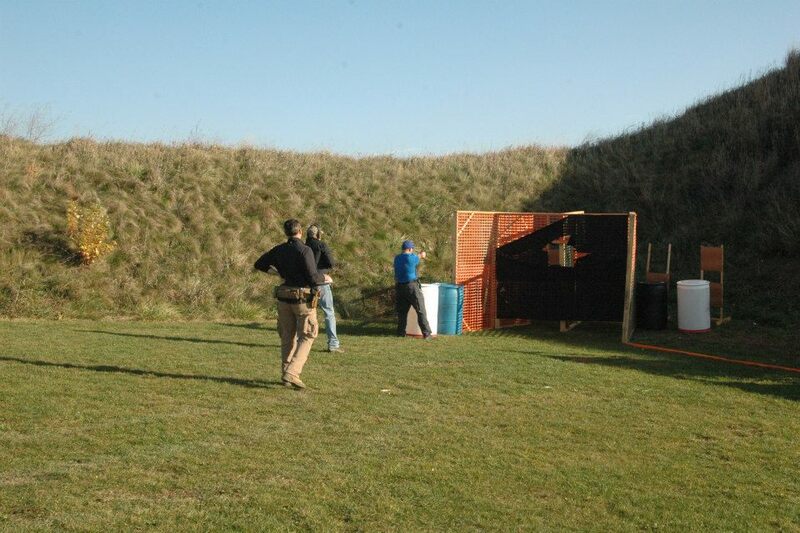 Each stage will generally require the use of different firearms and require the shooter to transition between them. The targets might include clay pigeons, cardboard silhouettes, steel targets of varying sizes and anything else the match organizer designates as a target. Distances of the targets might vary from 1 yard to 400 yards or anything in between. The shooter who hits the most targets -- and avoids certain "no shoot" ones -- in the least amount of time is the winner. Pre-registration for the 3Gun Matches at Aurora Sportsmen's Club are handled through Eventbrite. The cost is $20 for ASC members and $60 for non-members and is non-refundable. Stage diagrams and match scores from monthly matches can be found on the Matches page. On-Site registration is available IF there are any slots left. AT 15 MINUTES BEFORE THE PUBLISHED START TIME, we will start promptly with a Roll Call followed by a Safety Brief. Immediately following the Safety Brief, squads will walk to their start stage. All shooters must have event gear ready and in their possession before the Safety Brief begins. Ammunition - about 200 rounds of non-penetrator ammunition for each firearm: Rifle, Pistol, and #7 or smaller lead birdshot. You should also bring 6 slugs for your shotgun. However, you should bring enough rounds for your skill level. Chamber Flag - have a chamber flag for each long gun which is easily, quickly and positively removed from/inserted into the chamber of your rifle. PIECES OF ROPE/TWINE WILL NOT BE PERMITTED. Magazines - Most shooters bring a minimum of three (3) magazines for each firearm but more would be helpful, particularly for handgun. Clothing - we shoot regardless of weather. Plan accordingly. Food - Lunch will be provided with the cost of the match. We have a generous lunch sponsor who is providing a great lunch for every match! Water - hydration is important. Plan accordingly. Where are Match Results ? .What are the Safety rules? Can I uncase my guns at my car? NO - Firearms may be uncased or worked on at designated safety areas only. There will be multiple safety areas designated with signage. What rules govern the match? 3-Gun Nation Club Series Rules will be used. Where is the Range? See the map below or click the question for directions.